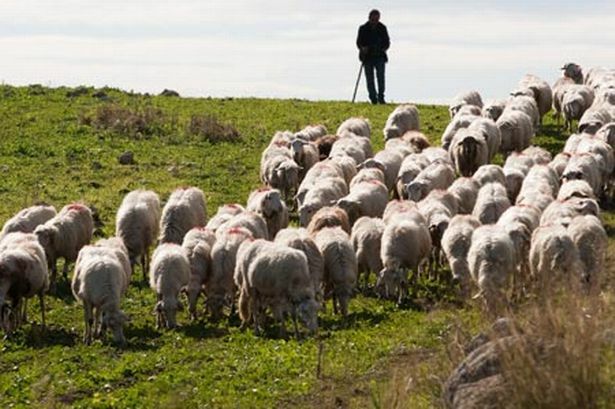 (P1) Two sheep farmers have started using smartphones to MONITOR and record their FLOCKS. (P2) A new mobile phone app allows them to record everything from the weight of a lamb to the medicines it is being given, all without leaving the fields. (P3) The Welsh government-funded project also works out when sheep are ready for market. (P4) Huw and Guto Jones, who farm at Mallwyd, Gwynedd, and Llandre, Ceredigion, said it saves them time. (P5) The brothers now carry detailed information about their 1,300 flock of sheep in their hand while SHEPHERDING in the fields. (P6) “This new technology is A BREATH OF FRESH AIR,” said Huw Jones. “It has made the recording of sheep and lambs’ details so much easier and quicker. (P7) “If a problem ARISES in the field with a lame EWE or a sick lamb, we can search for an ear tag number on the phone and find their medical history. Do you use a lot of apps yourself, or not so many? Do you always buy the newest smartphone, or is an older model good enough for you? Would you allow yourself or your children to be MICROCHIPPED? Are apps anything more than information-organizing tools?